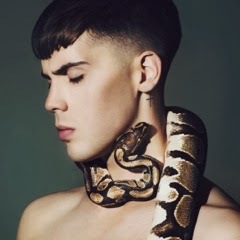 Used to be known as X-Factor UK’s Aiden Grimshaw who released Curtain Call and Is This Love last year, however after a dramatic makeover and few changes in music direction, he is now known as Aiden to his pop friends. The fourth track to be release of Aiden’s EP named Better Man is a dance anthem with elements that remind us of The Presets or maybe Hurts after the Freemason's done a killer remix of the track. Better Man is written by Aiden and Dimitri Tikovoi and produced by Dimitri who's best know for his work with Nicola Roberts, Charlie XCX, Goldfrapp, and Paloma Faith among others. The EP was released yesterday, Nov 26th, is streaming here in full, however our fav track is below..!